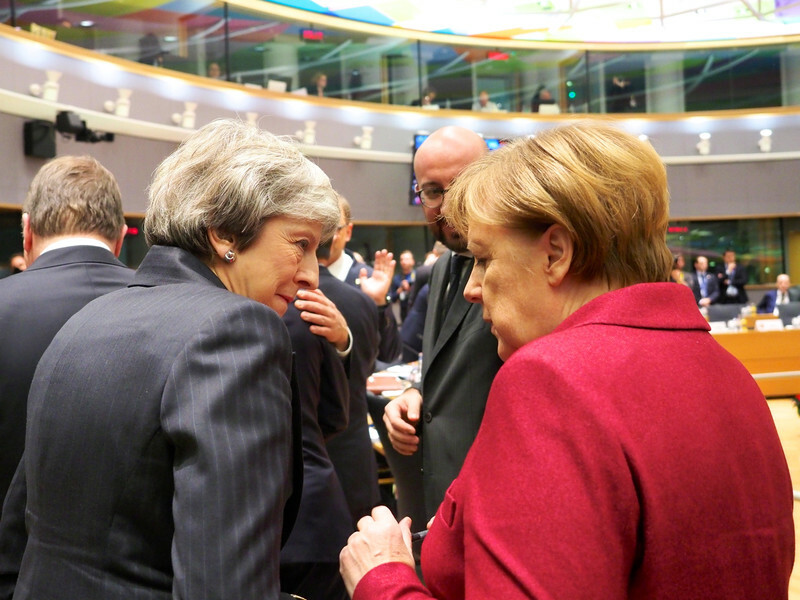 British prime minister Theresa May held talks in both Berlin with German chancellor Angela Merkel and in Paris with French president Emmanuel Macron on Tuesday (9 April) - a day before a crucial summit in Brussels where EU leaders will decide on any Brexit extension. May has requested to delay the Brexit deadline until 30 June, beyond the existing Friday (12 April) - when the UK is set to leave the EU. This came after a first, original, extension from 29 March. May said in a letter last week that the UK would leave the EU earlier than 30 June, if the withdrawal agreement is ratified by the British parliament before that date. 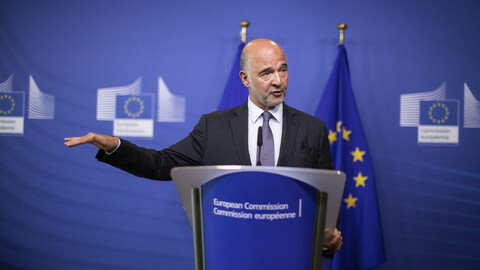 The UK has also started preparations to hold European elections on May 23, which was an EU precondition for any extension beyond 12 April. 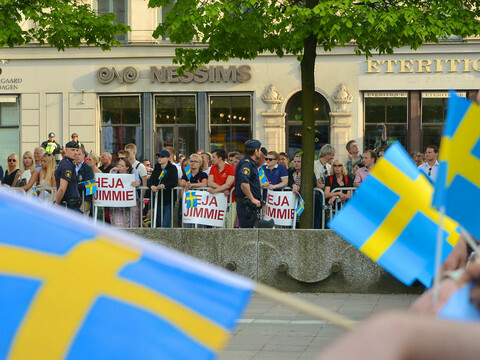 EU leaders need to decide unilaterally if to the grant the UK another extension. 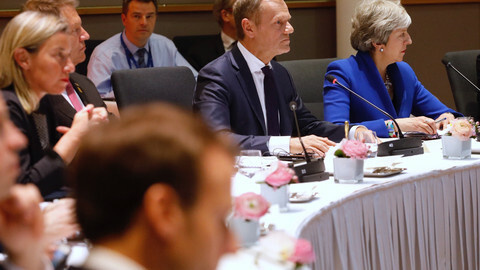 Some of the member states, leading with France, are reluctant, fearing it could upset European elections in May, and undermine the EU's legal foundations if the UK were to stay an EU member while being half-way out of the door. In Berlin, May outlined to Merkel the steps she was taking to bring "the Brexit process to a successful conclusion", and on discussions with the opposition Labour Party, May's spokeswoman said according to Reuters. 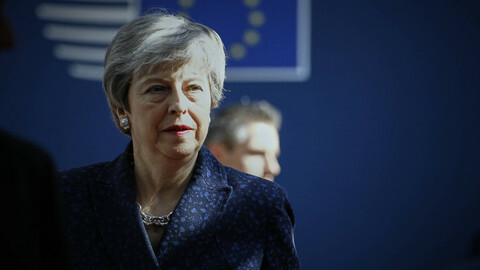 EU chief negotiator Michel Barnier said on Tuesday that May needs to provide strong justification for the delay and a clear timeline of how she plans to use the extra time. "This extension has got to serve a purpose," Barnier said after a meeting of EU affairs ministers in Luxembourg, adding that the EU is ready to give more time if cross-party talks in the UK can deliver a majority for the deal. 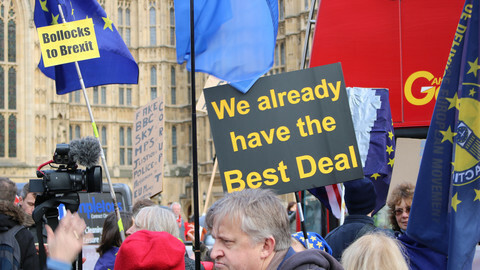 May last week started negotiations with the opposition, Labour, to get a majority in the House of Commons backing the withdrawal agreement agreed with the EU last November. One of Labour's key demands include keeping Britain in the EU's customs union, which EU officials said could be done easily by tweaking the political declaration on the future EU-UK relationship, attached to the withdrawal agreement. Labour leader Jeremy Corbyn, along with shadow Brexit minister Kier Starmer, have met in recent months in Brussels to pre-emptively explain their 'customs union' Brexit to EU officials, including Barnier. Hardline Brexiteers, also within May's Conservative Party, however, reject staying in the customs union, which would prevent the UK from signing its own trade deals. The withdrawal deal has been rejected three times already by MPs in London. Barnier stressed that the length of any second postponement beyond 12 April would depend on the reasoning presented by May. "'No-deal' will never be the EU's decision. In order to avoid 'no-deal', the UK needs to agree to a deal," Barnier added. 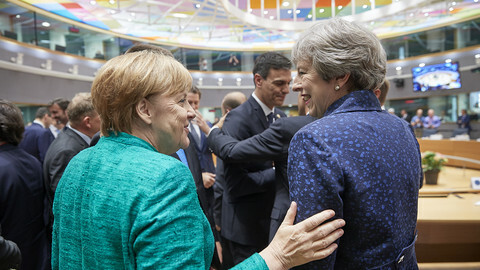 May also needs to commit to "sincere cooperation" - EU jargon for not undermining upcoming key decisions in the bloc, such as on the EU's long-term budget and the top jobs at EU institutions. Arriving at the meeting, the German, Dutch, Irish and Luxembourg ministers made clear that a no-deal Brexit must be avoided. "It's in the Dutch interest to avoid hard Brexit and if more time is needed to avoid no-deal Brexit, we should provide more time," Dutch foreign minister Stef Blok said. German EU state minister Michael Roth said, however, that "very strict conditions" must apply. "I must, unfortunately, note that the conditions set […] have not been met," he said. France' EU minister Amelie de Montchalin, however, warned that the extension is neither agreed, not "automatic".